Bird Identification can be fun, but it can also be incredibly challenging and sometimes frustrating. Some of the key tools for identification are things such as: shape, size, color and habitat. Start with the birds you are most familiar with, and learn to identify them properly first. Practice identifying them in different stages of their life, under different light conditions and during different kinds of actions such as perching or flying. Shape is the general outline of the bird. Look the bird at the broadest level of description first. Does it appear short and squat? Or is it streamlined and tapered? Does it look long legged and lanky overall? Then start breaking down the parts and describe how those add to its overall shape. Describe those in an accurate and concise way. Does it have a short, medium or long beak? Is the tail moderate or long? How far back and down do the wings reach when folded, relative to the tail? Does its chest or belly stick out further, or just appear more noticeable? Note that in these questions I am comparing parts of the bird to other parts on its body. This is a useful tool for doing quick visual assessments in the field when you only have one bird to look at. 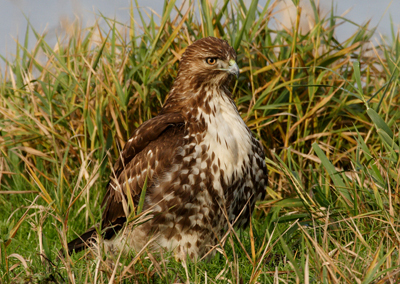 Most of us, even complete beginners, know the relative size of certain birds. We probably all know how big a sparrow, robin, crow and Canada goose is, for instance. You can use the scale of these known birds to compare the bird you are studying by using the four species. Is your bird smaller than a goose, but larger than a crow? Or is it larger than a sparrow, but not quite robin size? Using questions in this way leads you to look closer, and making bird identification easily accessible using tools already stored in your memory banks. Although colors can sometimes vary subtly depending on lighting, generally well lit birds show obvious colors. Using colors to sort out possible species can be very effective. The red on the breast of an American robin is rather distinct and only appears similar to a very small group of other birds. The dramatically black and white plumage of a magpie is unmistakable. Even just noticing the pale gray of a Bewick's wren's breast and eyebrow line contrasting with its brown upper parts is helpful. It narrows down the potential species that might match that description. Patterns of color can be helpful, such as the dark spot at the center of a song sparrow's breast where a lot of the streaks on its chest and belly appear to coalesce. Bars of paler and darker colors on the wings of kinglets or some warblers. Watch for these and many others, and use them to narrow down the possible species. 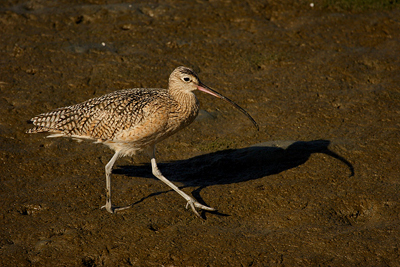 Birds are associated with and adapted to specific habitat types. For example, bald eagles and ospreys rarely spend much time away from large lakes, rivers or large bodies of water which contain fish. Red-winged blackbirds are rarely far from cattail marshes. American robins prefer woodland edges that include some open grassland habitat. 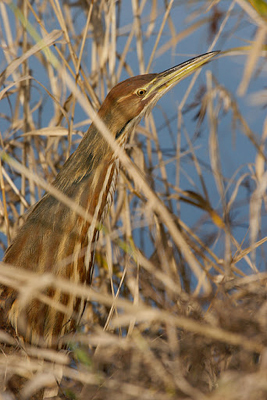 American bitterns, like the one in the image below are rarely found outside of dense cover such as cattails or rushes in their wetland habitats. Knowing such associations helps you know what species to expect. When trying to key out a potential species using a field guide, always remember to look at the range maps and read the descriptions of preferred habitats. With the advent and popularity of smartphones, bird identification can be a few clicks away. Remember, though, that even these apps still use these same categories (shape, size, color, & habitat) to help narrow down the search of possible species. Using these tools of identification, you will greatly increase your chances of success. Go out and enjoy watching birds! 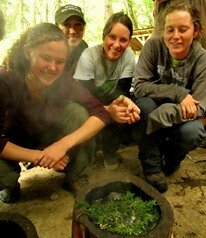 Learn all about bird identification, bird language & behavior, and many other wildlife skills at the Alderleaf Wilderness Certification Program.